Baby drowning: "My life changed the day my baby sister drowned." "My life changed the day my mother pulled my baby sister from the pool." This is a response to the Quora question: What’s the most depressing thing that changed your life? Hearing my mother’s screams and cries for help as she pulled out my 11-month-old sister from the pool and attempted to bring her back to life. She tried and tried and tried, but nothing happened. She was gone. I don’t know how to describe those few hours of my life. It has been 14 years since that night and I still can’t seem to find the right words. I waited the entire night waiting for my parents to walk into the house holding my baby sister, but they didn’t. They walked into the house carrying her wet clothes. Her white tank top with the purple bows with the matching purple shorts. The same pair of wet clothes that I hugged and cried into the entire night until I passed out at some point. The look on my parents’ faces, the emptiness in their eyes, and the bloodcurdling cries that never stopped… that’s when my life changed. Listen: The book for anyone going through grief. Post continues after audio. After my sister died, my entire childhood became a blur. I can’t remember much of my childhood prior to my sister’s passing or after. Trying to be a normal sixth grader was too difficult to manage, I was not able to go through a school day without having a break-down in class and needing to be sent to the counselor’s office to be comforted and consoled. 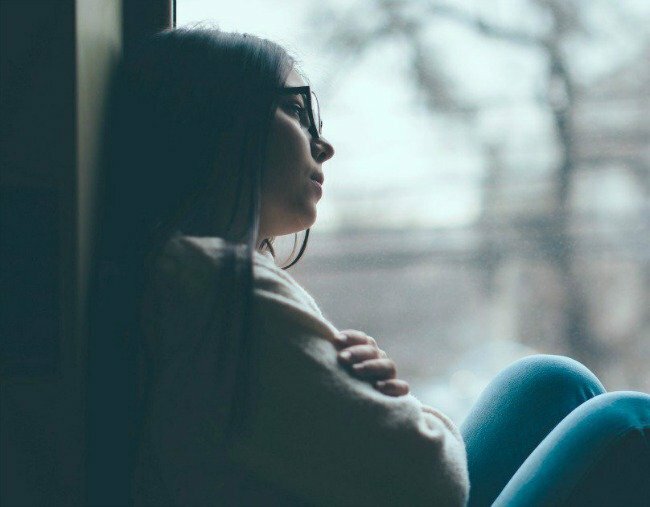 Depression became a part of my life when I was 11-years-old. I think it will always be a part of me. Sometimes I find comfort in the depression and the guilt that overpower my happiness. I can’t explain that either. People don’t understand it. Maybe holding onto the depression and guilt makes me feel content because it means that I haven’t forgotten about her. Maybe that’s just self-destruction and I try to justify it so that I don’t have to fix it. I don’t know how I am going to manage the rest of my life without her, but I am taking it one day at a time. I tell her that I love her and miss her a lot, I hope she can hear me. I kiss the picture of her that’s on my nightstand every night before I go to bed, I hope she knows how much she means to me. She would have grown up to be a beautiful 15-year-old and my best friend. I’m sorry that I was not able to protect you. I miss you, baby A.